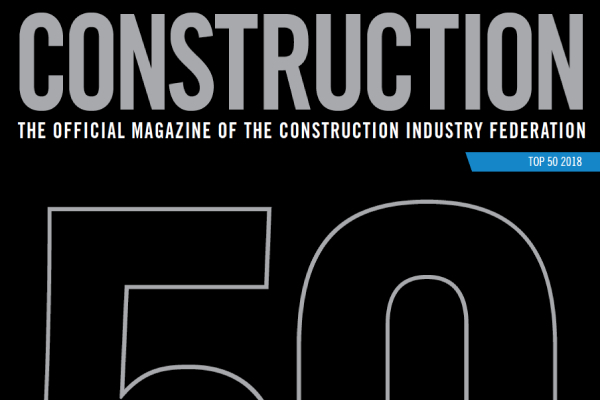 Every year two lists are compiled of the Top 50 contractors in Ireland. One by Construction Magazine and one by the Irish Building Magazine. The Construction Magazine reported that the combined turnover of Ireland’s top construction firms has increased by €720million on last year according in their annual Top 50 CIF Contractors listing for 2018. The annual listing gives a snapshot of the overall growth in Irish construction as it delivers many largescale projects throughout Ireland and the world, attracting foreign direct investment to Ireland and exporting over €1.6bn in construction expertise. According to Construction Magazine’s figures, the Top 50 Irish Contractors reported a combined turnover of €6.72billion over the last 12 months, with €5.1billion of this activity taking place in Ireland and a €1.62billion resulting from exported construction services. 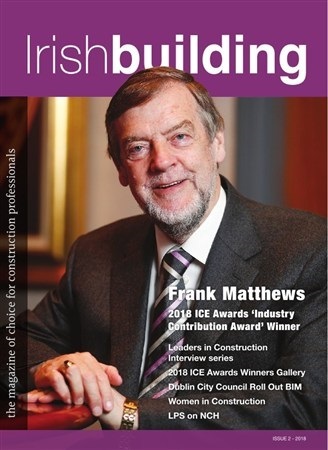 The Irish Building Magazine also compiled a list of Main Contractors and while the rankings differ, due to different accounting periods, the one element that remains consistent is that all are present on the CIRI register. The CIRI register gives confidence in construction. Whether you’re undertaking a renovation project, building or engaging in home repairs, CIRI provides you with a register of expert builder/contractors/building specialist who commits to delivering excellence in every aspect of their work. They are competent and able to deliver on the project at hand, they run their businesses in a professional manner and are committed to continuous professional development (CPD) in order to ensure construction best practices at all times. The construction industry is regulated under the Building Control Act 1990 – 2014, designed to ensure the safety of people within the built environment. The purpose of the CIRI register is to promote safe and compliant work practices that consumers can rely on with confidence. Hiring a CIRI registered builder will ensure that your project is completed by a competent person/company.